For over 23 years Circleline has developed strong links with the Co-operative movement. 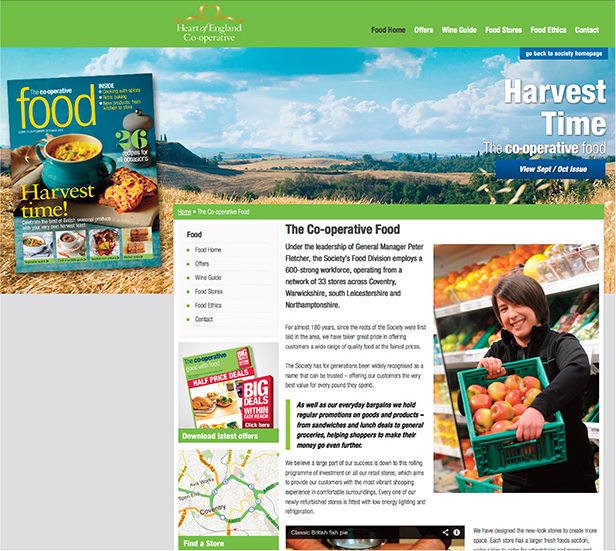 Our unique understanding of ‘The co-operative’- undoubtedly the UK’s most ethical retailer and biggest supporter of local communities – has enabled us to build a strong portfolio of work within the retail market sector. We have been fortunate to work for some of the biggest and most successful retail co-operative societies throughout Essex, East Anglia and the Midlands. This has encompassed all aspects of creative development from branding, advertising and brochure production to direct mail, email marketing and website development. 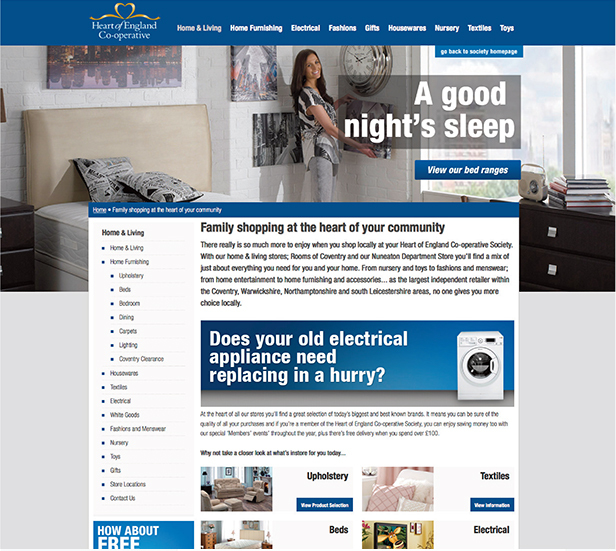 Our very latest project for the Society was to completely re-design and build a new dynamic ‘Showcase’ website. 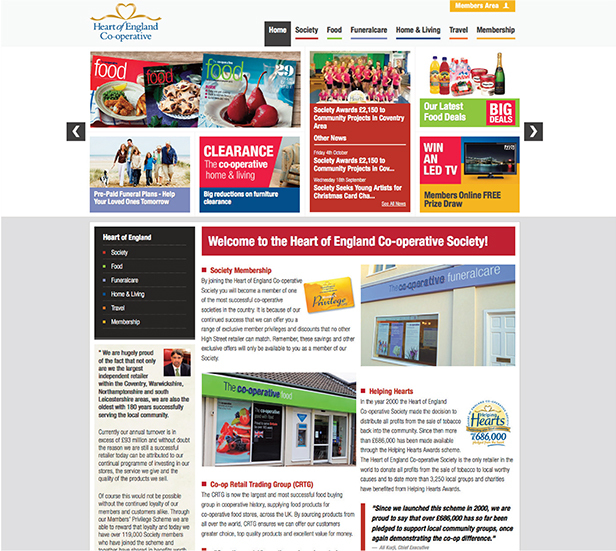 Our first move however, was to change the domain name from its original ’21century.coop’ to ‘heartofengland.coop’ which more accurately reflects the Society’s brand identity and its trading area. The site was constructed as a Content Managed System (CMS) incorporating plenty of interactive features and each trading division having its own individual section. It’s early days, but the site has already seen a dramatic increase in ‘visits’ with browsers spending considerably longer than average on each visit. Very shortly we will also be launching a brand new ‘Members only’ area, designed to further encourage an increase in membership by offering a range of exclusive benefits.